Haggerty, Goldberg, Schleifer & Kupersmith, P.C. 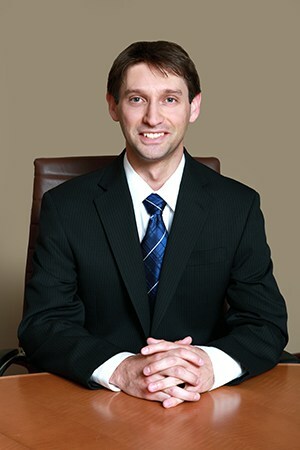 is proud to have Jason R. Weiss on our team of personal injury attorneys in Philadelphia. Since 2009, he has been filing personal injury claims on behalf of injured victims throughout the state. He has handled civil cases related to premises liability, car accidents, and other kinds of personal injury matters throughout Pennsylvania and New Jersey. He is highly skilled at protecting the rights of clients during all the stages of a case, including trials, arbitration, and negotiation. He takes into account the “big picture” before creating a personalized strategy for a case. Attorney Jason R. Weiss leaves no detail overlooked in order to provide comprehensive legal representation. The motivating force behind everything he does is knowing that the outcome he achieves will potentially change the life of an injured individual for the better.While he studied law at Pennsylvania State University’s Dickinson School of Law, Attorney Jason R. Weiss interned at the Pennsylvania Office of the Attorney General. He was also co-chair of the Student Bar Association’s Information Technology Committee and was editor of the International Law Review. He is licensed to practice in the Commonwealth of Pennsylvania and State of New Jersey, as well as Federal Court in the Eastern District of Pennsylvania and District of New Jersey. Attorney Jason R. Weiss regularly sits as an Arbitrator for the Bucks County Court of Common Pleas, presents various Continuing Legal Education courses and has been recognized as a Rising Star by Super Lawyers from 2016 to 2018. He also is the Editor of the Writs, a publication released by the Bucks County Bar Association. If you are facing a personal injury matter, you can discuss your concerns with Attorney Jason R. Weiss during an initial consultation. As his client, you can expect to receive step-by-step guidance until your case is finalized in the most effective manner possible.